Storey Publishing, LLC, 9780882663241, 240pp. If you manage your own water supply, you’ve likely had, are having, or will have water problems. Whether it’s an issue of access, contamination, or taste, Stu Campbell has a clever solution, often enlivened by a charming anecdote. 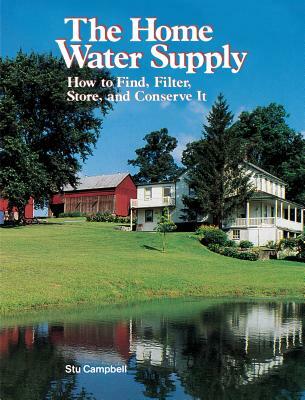 Campbell offers techniques for locating water on your property, as well as how to purify, store, and distribute it throughout your home. With an approachable style, expert advice, and money-saving strategies, The Home Water Supply has all of your water issues covered. The late Stu Campbell lived and gardened in Stowe, Vermont. He was the author of Let It Rot!, a guide to home composting with over 340,000 copies in print; Mulch It! ; and The Home Water Supply.